The IEP contract has now been awarded to Hitachi. No surprise there. It just shows the power of civil servants to push through a project even when, as in this case, it was conclusively shown to be poor value for money. 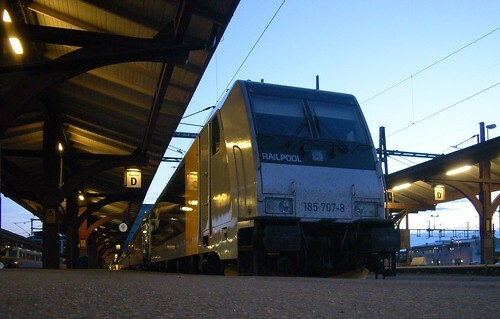 The alternative to the IEP might have been this - a fleet of conventional hauled vehicles and up-to-date Euro-locomotives such as the TRAXX, seen above in on-hire service. This would have bought the flexibility which the IEP investment does not. The contract, worth some £4.5bn, comprises trains, maintenance depots, and route upgrades, with Network Rail undertaking the infrastructure upgrades to allow the new trains to operate on the network. 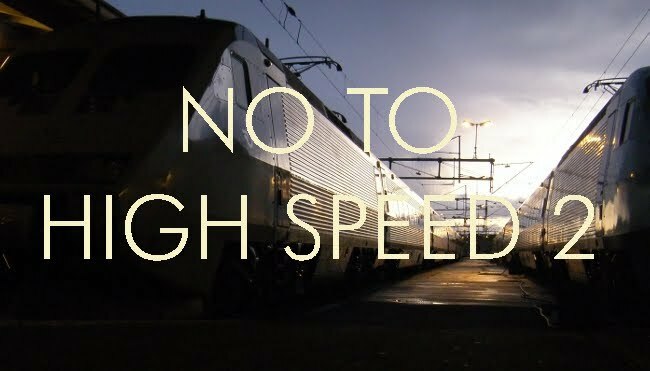 Agility Trains is the contract partner for the DfT for the delivery of trains, maintenance and daily service delivery, with Hitachi Rail Europe as sub-contractor in charge of supplying the trains and ensuring that they reliably perform day in and day out. The contract guarantees 27.5 years of usage of the trains. As part of the contract, Hitachi will provide 596 carriages of electric and bi-mode trains for the Great Western Main Line (Phase 1) and the East Coast Main Line (Phase 2). The fleet of 595 vehicles, made up into 92 trains, will be maintained in newly built and upgraded facilities, including new depots in Swansea, Bristol, west London and Doncaster. Because the contract is to supply and maintain the trains and also includes a lot of infrastructure work, it is difficult to compare with supply-only costs, which are typically between one half and one third of lifetime costs. No doubt someone like Roger Ford will be putting the numbers through his crunching machine and will come up with an assessment which will give some indication of where this is value for money. But whilst it is not directly comparable, it is worth pointing out that a fleet of 600 hauled go-anywhere vehicles and 100 locomotives would have had a first cost of, say, £600 million for the vehicles and another £300 million for the locomotives - that is a total of around £900 million. It would also have avoided the need for spending to adapt the infrastructure to accommodate longer 26 metre vehicles, and existing depots could have been upgraded. It is also what many in the industry actually wanted. In principle, therefore, the decision seems unfortunate. It looks like bad value for money. It would also have been a good thing if the new generation of trains could have broken away from the practice of fixed formation trains and recovered the flexibility provided by locomotives and carriages, enabling the continued use of older vehicles to provide peak capacity. As it is, with a "tight-fit" solution, this order commits the railway to retaining its bizarrely complex fares structure because yield management becomes so critical to the economics of the operation. Worse still, the length of the vehicles means that in due course the opportunities for cascading the stock onto other routes will be almost non-existent. A fleet of shorter hauled vehicles, around 22 metres in length, could have been wider, at 2.78 metres, and operated over pretty much the whole system. Some of the proposed later deployments, such as London to Oxford, Northampton and Cambridge , are strange since these are essentially commuter routes, and the Oxford line forms part of the recently upgraded route to Worcester and Hereford. The 26 metre end-door vehicles are going to be highly unsuitable for commuter services, whilst the Cotswold line is not a high speed route anyway and would be best served by detaching part of the train at Oxford and running in push-pull mode to Hereford. The replacement of the IC225 sets from 2018 is premature. They came into service in the early 1990s. The mark 4 fleet of just over 200 vehicles ought to have a 40 year life which would see them running at least until around 2030. But this order also implies the premature withdrawal of the mark 3 fleet of well over 1000 vehicles built between 1975 and 1985 and now known to have a 60-year life. That is throwing away a lot of resources. At a time when funds for the railways are supposedly scarce and there is a long list of projects crying out to be done, this looks as if the authorities have, yet again, got their priorities badly mixed up. Don't miss the video simulation, by the way, nicely done.